Tiny houses are everywhere. They’ve received heavy coverage in the media and there are millions of followers on dozens of pages on social media. While there is no census for these homes, they have seen a surge in popularity in the decade since the Great Recession – witness the prolific growth of tiny house manufacturers, for instance. Originating in the US, tiny homes have also been popping up across Canada, Australia and the UK. I have toured homes, attended tiny house festivals, stayed in a tiny house community and interviewed several dozen people who live inside them. My research took me throughout the US, from a converted accessory unit squeezed between two average size homes on Staten Island to a community in Florida full of cute and brightly coloured tiny structures – appropriately located just down the road from Disneyland. Here are three things I unexpectedly discovered along the way. Millenials have a complicated relationship with home ownership. They often still want to own a home but are simply not able to do it in the same way as their parents, and are known as “Generation Rent” as a result. All the tiny-houser millenials that I interviewed wanted to own bigger houses in future; they saw tiny living as a means of owning something now and being able to save at the same time. Several young couples planned to upgrade once they had children, selling their tiny homes or even keeping them as guesthouses. 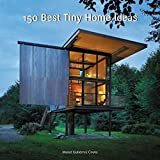 Tiny homes tend to be on wheels as a way of getting around government regulations on minimum habitable dwelling size. This often makes their inhabitants feel unsettled. In my own experience staying in a tiny home, I recall feeling a general awareness of the wheels underneath and a slight swaying as I jumped from the ladder that accessed the lofted bed. It doesn’t feel that grounded; it feels like we are detached from the earth because there are wheels underneath us… It’s a constant reminder… you are in this fragile state of housing. The majority of dwellers that I talked to were eager to live on a solid foundation in future. I met one millennial who used her college fund to build a beautifully crafted and customised tiny home, but felt so groundless after only a year of living on wheels that she was trying to sell. This suggests that building codes will need to be relaxed to allow more tiny housers to live on foundations. Some places have taken the lead on this already – one example is Spur, Texas, which has changed its relevant housing laws with the express intention of attracting tiny housers in response to a declining population. Spur is pitching itself as the first tiny house friendly town in America. More broadly, however, the legalities around tiny homes remain complicated. They continue to restrict the potential for this lifestyle both in the US and elsewhere. In the UK, for instance, there can be issues with planning laws that require all new dwellings to have more than one bed space. In southwest England, Bristol City Council recently overruled such rules to allow several tiny homes to be built in the back garden of a terraced house in the suburbs, reckoning that it was necessary to help alleviate a local housing crisis. Tiny houses are often put forward as a more sustainable housing option. They are certainly a potential check on the continued pursuit of bigger houses and greater consumption of energy, building materials and so forth. Yet reducing your environmental impact by going tiny is not as simple as some have claimed. Regardless of how tiny living is marketed by the enthusiasts, sustainability was not a major driver for most of the participants in my study. Instead it was almost an afterthought. It seemingly takes more than changing the size of a home to change the mentality of the people who live inside.